Welcome to Meridian Salon. Our warm and welcoming salon is located in the chic Marina District of Downtown San Diego. We are steps away from residential buildings, Horton Plaza, downtown hotels, Seaport Village, the Headquarters, the San Diego Convention Center and more downtown favorites. We are located in Meridian Place, Meridian Condominium’s commercial center. Our salon is a comfortable favorite of downtown residents, professionals, and vacationing visitors. 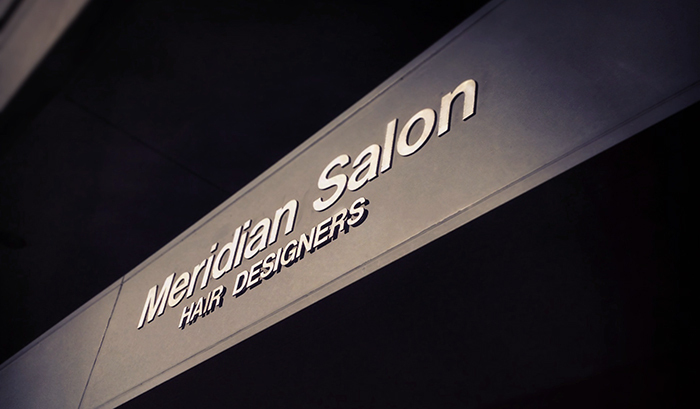 We have a long history in downtown, as our salon is original to the building of Meridian Condominiums. Our team’s reputation as highly skilled and experienced hair stylists and nail technicians shows in the longevity of their careers, and the loyalty of our clients. Meridian Salon’s services include: men’s, women’s and children’s haircuts, blowouts, color, highlights, extensions, smoothing treatments, bridal services, manicures, pedicures, Shellac manicures, and facial waxing. We carry only the highest quality products including Moroccanoil and Bumble and bumble. As you peek around our site, we think you’ll find something just a little bit different, a little special at Meridian Salon. When you are ready to make your appointment, request an appointment online or call us and our front desk team will be happy to assist you.